Every bow maker has their own list of qualities that make the perfect horse hair for rehairing bows. That is why we offer a range of horse hair brands, each with their own set of characteristics. Our aim is to provide you with the horse hair that suites your needs. Each of these brands represents a standard of sorting and preparation. Our top three brands are the Sterling Silver Brand, Premium Brand and Supreme Brand. These brands are of the highest quality. We also offer the Platinum Brand and Gold Label Brand as an economical alternative. 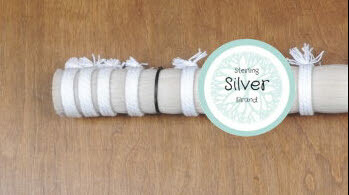 The Sterling Silver Brand Brand horse hair is sorted for strong hairs with a bright natural white color. This is a first class hair, strong, with a natural affinity for rosin. The Premium Brand horse hair also has excellent strength. Its natural color drift runs a shade darker than that of the Sterling Silver Brand and the Supreme Brand. Out of our top three horse hair brands this hair is the thickest. The Supreme Brand horse hair sits in between the Sterling Silver Brand and the Premium Brand in thickness and color. 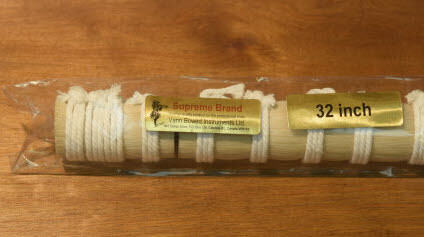 The Supreme Brand horse hair also has excellent strength. The Platinum and Gold Label Brand both have strength, a natural white color and good stretch and recovery rates. All five of these brands are suitable for use in the violin shop for rehairing violin, viola and cello bows. Sterling Silver Brand: excellent strength, a bright natural white color, even length and thickness. 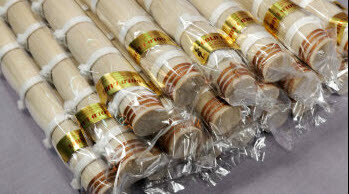 Suitable for use in the professional violin shop for violin, viola and cello bow rehairs. Premium Brand: great strength, even thickness and length, durability and a natural white color. 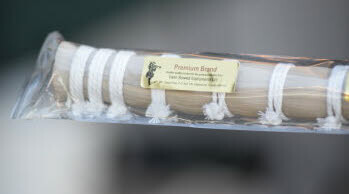 The Premium Brand horse hair is suitable for use in violin shops on violin, viola and cello bow rehairs. Supreme Brand: good strength, a light natural white color, even length and thickness. The Supreme Brand is used in violin shops world wide on professional violin, viola and cello bow rehairs. 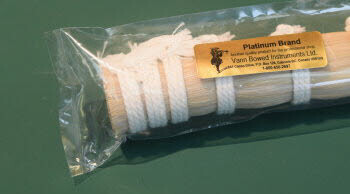 The Platinum Brand horse hair has strength and a bright natural white color. This horse hair is a great economical alternative to our top horse hair brands. Suitable for the violin shop for violin, viola and cello bow rehairs. The Gold Label Brand horse hair has strength, a natural white color and good stretch and recovery rates. Sorted for hairs of quality, even length and thickness. The Gold Label Brand horse hair is suitable for use in violin shops for violin, viola and cello bow rehairs. 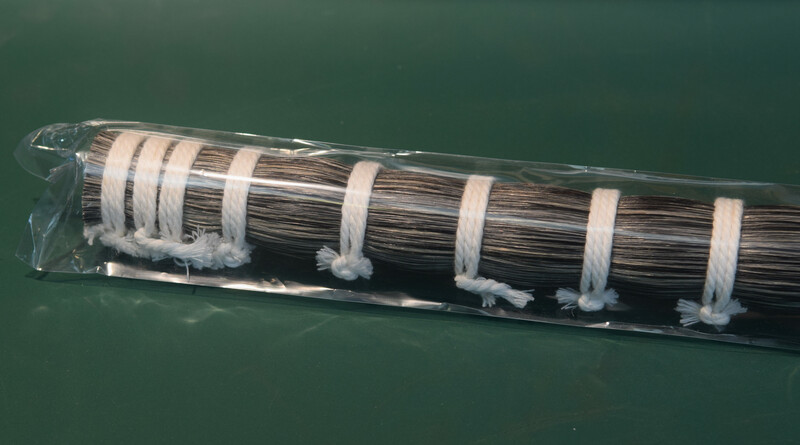 Along with our top quality white horse hair for violin, viola and cello bows; for the bass bow we offer black, sorrel, pepper and salt and thick white horse hair. A thicker, coarser, Mongolian stallion horse hair. Suitable for use in the violin shop for rehairing bass bows. Non-dyed, natural black color horse hair. Sorrel Mongolian stallion horse hair has a red/brown natural color. It can be used as an alternative to black horse hair on bass bows. Pepper and Salt horse hair. Pepper and Salt horse hair is a combination of natural white, black and gray color horse hair. 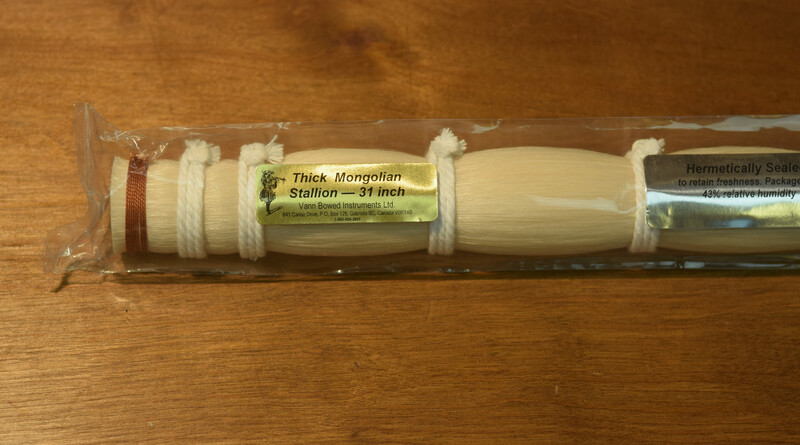 This Mongolian stallion hair is suitable for bass bows. A strong, natural white stallion horse hair with a thickness suitable for rehairing bass bows. This hair has a thickness range of 0.15mm through 0.22mm.